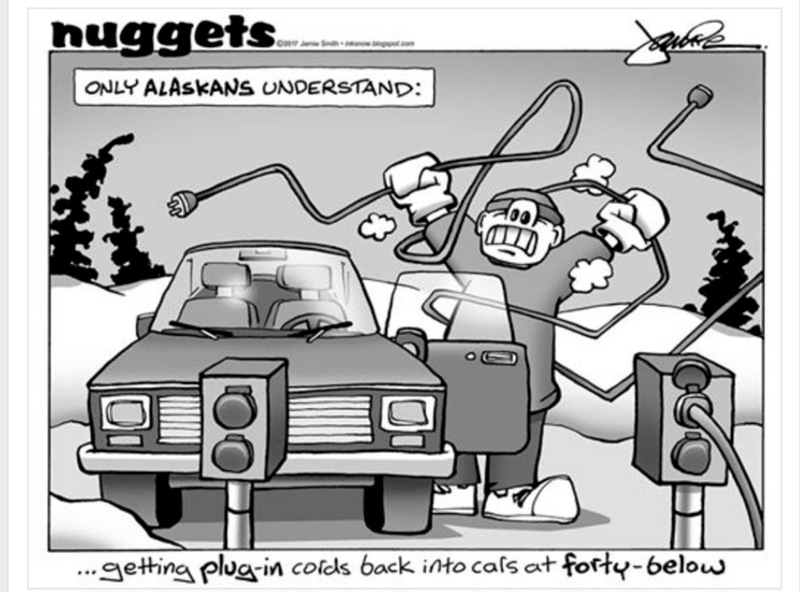 This entry was posted on Thursday, January 11th, 2018 at 6:05 AM	and tagged with -40, Alaska, cold, driving, Fairbanks and posted in comic. You can follow any responses to this entry through the RSS 2.0 feed. Yes I learned pretty fast to keep the longer cord section in the cabin until I needed it or went to town.